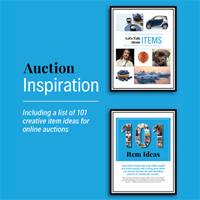 Ever wonder if there is a one-stop shop to learn all about getting great items for your next auction? Well, you just found it. We've compiled this amazing resource that will help in your items quest, including 101 creative item ideas for your auction. Every experienced event planner and auction chair knows that it is crucial to stay organized. 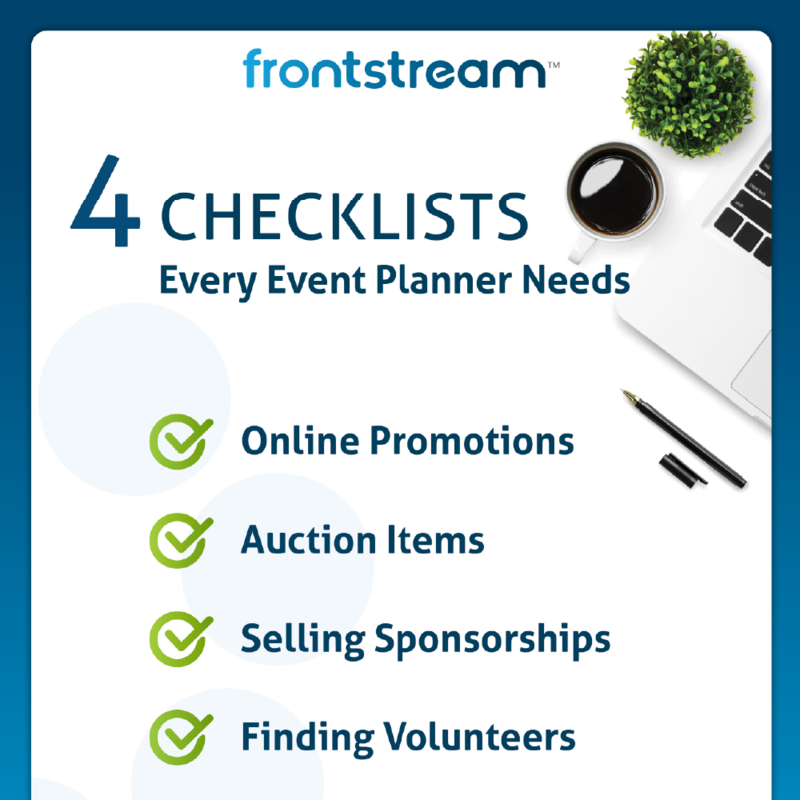 Checklists are one of the best ways to stay on track when managing an event! Download our checklist bundle today. 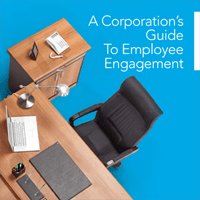 Engage employees with powerful strategies to align your company with what matters most to them. Employee engagement isn't just about attitudes in the workplace: it can have a serious impact on a company's bottom line. Download our eBook today. 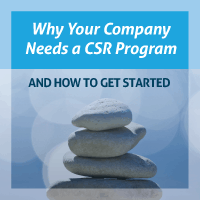 More and more small-to-medium sized companies are discovering the benefits of a dedicated corporate social responsibility (CSR) program. When businesses encourage and empower their employees to help good causes, the rewards are significant. Download our eBook to learn more. Learn how to fix common mistakes so that you can be a charitable giving champion. Are you completely sure your donation program is working as well as it should? Download our eBook to learn more. 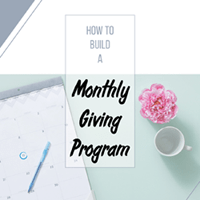 A monthly giving program will increase the number and size of donations you receive each year. If your nonprofit doesn’t have one in place, now is the time to get started. Download our eBook to learn how. Take a moment to describe your donors, and you'll find they have specific personas. 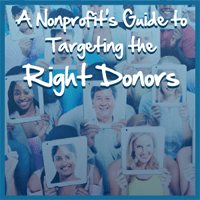 You can use these donor personas to guide you help you target the right donors in the right way. Download our eBook to learn more. Choosing the right fundraising software can save your organization time and help you raise more money for your cause. 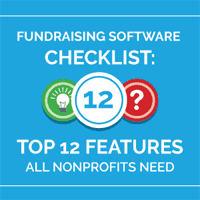 Learn how to find the best fundraising software for your nonprofit. Download our eBook for valuable tips. 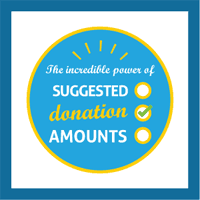 Suggested donation amounts help your nonprofit raise more money. The research tells us that offering donors a choice of giving levels on a donation form will significantly increase the overall average donation size. Download our eBook to learn more. Too many charities and nonprofits are leaving money on the table. A corporate gift matching program has the ability to find untapped revenue for your organization! 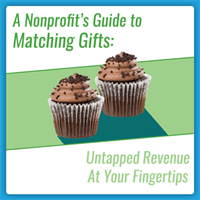 Download our eBook today to learn how to start a matching gift program. Do you know why peer-to-peer events are one of the best ways to fundraise? Your supporters can do more to generate donations from their network than your nonprofit could ever do on its own. Download our eBook to learn more.